This Porsche Macan Features the Following Options 95BAA1 Macan 47,800.00 2H Volcano Grey Metallic 700.00 VZ Leather Package in Black/Luxor Beige 1,960.00 1NP Wheel Center Caps with Colored Porsche Crest 190.00 2ZH Steering Wheel Heating 260.00 3J7 Porsche Crest on Headrests (Front) 290.00 3S5 Roof Rails in Black 390.00 7UG Navigation Module for Porsche Communication Management (PCM) 1,780.00 7Y7 Lane Change Assist (LCA) 700.00 8SI Tinted LED Taillights 550.00 9JB Smoking Package 0.00 C6P 19 Macan Turbo Wheels 1,660.00 QH1 Voice Control 0.00 PJ7 Premium Package Plus 5,950.00 .....Porsche Entry and Drive 0.00 .....Seat Ventilation (Front) 0.00 .....Seat Heating (Front and Rear) 0.00 .....Panoramic Roof System 0.00 .....8EA Porsche Dynamic Light System (PDLS) 0.00 .....9VL BOSE(R) Surround Sound System 0.00 .....PA2 Auto-Dimming Mirrors i.c.w. Driver Memory Package 0.00 .....PE5 Power Seats (14-way) with Memory Package 0.00 Total Retail Vehicle Price 62,230.00 Delivery, Processing and Handling Fee 1,250.00 Total of Charges & Taxes 1,250.00 Total Retail Price 63,480.00 Visit Us Today Stop by Mercedes-Benz Porsche of Lehigh Valley located at 3401 Lehigh St, Allentown, PA 18103 for a quick visit and a great vehicle! This Porsche Macan Features the Following Options 95BAA1 Macan 47,800.00 0Q White 0.00 VX Standard Interior in Black/Luxor Beige 260.00 1NP Wheel Center Caps with Colored Porsche Crest 190.00 2ZH Steering Wheel Heating 260.00 3FU Panoramic Roof System 1,670.00 3J7 Porsche Crest on Headrests (Front) 290.00 3S5 Roof Rails in Black 390.00 4A3 Seat Heating (Front) 530.00 4F6 Porsche Entry and Drive 800.00 7Y7 Lane Change Assist (LCA) 700.00 9JB Smoking Package 0.00 FZ3 Seat Belts in Luxor Beige 540.00 IU2 Porsche Connect 1,020.00 PE5 Power Seats (14-way) with Memory Package 1,710.00 Total Retail Vehicle Price 56,160.00 Delivery, Processing and Handling Fee 1,250.00 Total Retail Price 57,410.00Stop By Today Come in for a quick visit at Mercedes-Benz Porsche of Lehigh Valley, 3401 Lehigh St, Allentown, PA 18103 to claim your Porsche Macan! This Porsche Macan Features the Following Options 95BAA1 Macan 47,800.00 N5 Night Blue Metallic 700.00 VD Standard Interior in Agate Grey 0.00 1BH Porsche Active Suspension Management (PASM) 1,360.00 1NP Wheel Center Caps with Colored Porsche Crest 190.00 2W6 Fuel Cap with Aluminum Look Finish 160.00 2ZH Steering Wheel Heating 260.00 3J7 Porsche Crest on Headrests (Front) 290.00 3S5 Roof Rails in Black 390.00 4A3 Seat Heating (Front) 530.00 4F6 Porsche Entry and Drive 800.00 6JA Door Handles in High Gloss Black 350.00 7UG Navigation Module for Porsche Communication Management (PCM) 1,780.00 8SI Tinted LED Taillights 550.00 9JB Smoking Package 0.00 9VL BOSE(R) Surround Sound System 990.00 C5F 18 Macan S Wheel 200.00 IV2 Porsche Connect Plus (incl. 12-month trial) 1,720.00 PA2 Auto-Dimming Mirrors i.c.w. Driver Memory Package 420.00 20 PE5 Power Seats (14-way) with Memory Package 1,710.00 21 QH1 Voice Control 0.00 Total Retail Vehicle Price 60,200.00 Delivery, Processing and Handling Fee 1,250.00Total Retail Price 61,450.00PCM.Stop By Today Stop by Mercedes-Benz Porsche of Lehigh Valley located at 3401 Lehigh St, Allentown, PA 18103 for a quick visit and a great vehicle! This Porsche Macan Comes Equipped with These Options 95BBA1 Macan Sport Edition 61,100.00 N1 Sapphire Blue Metallic 700.00 VC Standard Interior in Black 0.00 0P9 Sport Exhaust System incl. Tailpipes in Black 0.00 2ZH Steering Wheel Heating 260.00 3S5 Roof Rails in Black 390.00 6JA Door Handles in High Gloss Black 350.00 7Y7 Lane Change Assist (LCA) 700.00 9JB Smoking Package 0.00 QJ4 Window Trim in High Gloss Black 240.00 VR4 SportDesign Side Skirts 1,000.00 PJ0 Premium Package Plus 2,230.00 .....Porsche Entry and Drive 0.00 .....Seat Ventilation (Front) 0.00 .....PE5 Power Seats (14-way) with Memory Package 0.00 Total Retail Vehicle Price 66,970.00 Delivery, Processing and Handling Fee 1,250.00 Total Retail Price 68,220.00Stop By Today Stop by Mercedes-Benz Porsche of Lehigh Valley located at 3401 Lehigh St, Allentown, PA 18103 for a quick visit and a great vehicle! This Porsche 911 Features the Following Options 991140 911 Carrera GTS 120,700.00 A1 Black 0.00 GQ Leather/Alcantara(R) Interior in Black/Carmine Red 3,850.00 027 Tachometer Dial in Carmine Red 0.00 088 GTS Interior Package 4,130.00 457 Lane Change Assist (LCA) 850.00 470 Rear Axle Steering 2,090.00 475 Standard PASM (Lowered 10 mm) 0.00 581 Luggage Net in Passenger Footwell 0.00 583 Smoking Package 0.00 653 Electric Slide/Tilt Sunroof in Glass 2,000.00 658 Power Steering Plus 280.00 9VL BOSE(R) Surround Sound System 1,600.00 P07 Adaptive Sport Seats Plus (18-way) with Memory Package 3,030.00 QH1 Voice Control 0.00 XEY LED Headlights in Black w/Porsche Dynamic Light System Plus 2,770.00 XHH Manual Gear Lever with Carbon Fiber Trim 270.00 XHW Heated Multifunction Sport Steering Wheel in Carbon Fiber 470.00 ZAB Ornamental Porsche Crest 0.00 P3J Premium Package Plus 1,550.00 .....Light Design Package 0.00 .....Seat Heating 0.00 .....Porsche Entry & Drive 0.00.....Automatically Dimming Mirrors 0.00 Total Retail Vehicle Price 143,590.00 Delivery, Processing and Handling Fee 1,250.00 Total Retail Price 144,840.00Visit Us Today Live a little- stop by Mercedes-Benz Porsche of Lehigh Valley located at 3401 Lehigh St, Allentown, PA 18103 to make this car yours today! Original Optional equipment is as follows: 95BAA1 Macan 47,800.00 0Q White 0.00 VF Leather Package in Black 1,740.00 1NP Wheel Center Caps with Colored Porsche Crest 190.00 2ZH Steering Wheel Heating 260.00 3S5 Roof Rails in Black 390.00 6JA Door Handles in Black (High-Gloss) 350.00 7UG Navigation Module for Porsche Communication Management (PCM) 1,780.00 7V3 Instrument Dials in White 700.00 7Y7 Lane Change Assist (LCA) 700.00 8SI Tinted LED Taillights 550.00 9JB Smoking Package 0.00 C6P 19 Macan Turbo Wheels 1,660.00 FI2 Seat Belts in Garnet Red 540.00 QJ4 Window Trim in Black (High-Gloss) 240.00 PJ7 Premium Package Plus 5,950.00 .....Porsche Entry & Drive 0.00 .....Seat Ventilation (Front) 0.00 .....Panoramic Roof System 0.00 .....Seat Heating (Front and Rear) 0.00 .....9VL BOSE(R) Surround Sound System 0.00 .....8EA Porsche Dynamic Light System (PDLS) 0.00 .....PA2 Automatically Dimming Mirrors 0.00.....PE5 Power Seats (14-way) with Memory Package 0.00 Total Retail Vehicle Price 62,850.00 Delivery, Processing and Handling Fee 1,050.00 Total Retail Price 63,900.00Scores 25 Highway MPG and 20 City MPG! This Porsche Macan boasts a Intercooled Turbo Premium Unleaded I-4 2.0 L/121 engine powering this Automatic transmission. Window Grid Diversity Antenna, Wheels: 18 Macan -inc: five-spoke light alloy wheels, Wheels w/Silver Accents w/Locks.This Porsche Macan Features the Following Options Trunk/Hatch Auto-Latch, Trip Computer, Transmission: 7-Speed Porsche Doppelkupplung (PDK), Transmission w/Driver Selectable Mode, Tiptronic S Sequential Shift Control w/Steering Wheel Controls and Oil Cooler, Towing w/Trailer Sway Control, Tires: P235/60R18 Front & P255/55R18 Rear AS, Tire Specific Low Tire Pressure Warning, Tailgate/Rear Door Lock Included w/Power Door Locks, Systems Monitor, Steel Spare Wheel.Visit Us Today Test drive this must-see, must-drive, must-own beauty today at Mercedes-Benz Porsche of Lehigh Valley, 3401 Lehigh St, Allentown, PA 18103. Original Optional equipment is as follows: 95BBA1 Macan Sport Edition 61,100.00 2Y Carrara White Metallic 700.00 VD Standard Interior in Agate Grey 0.00 0P9 Sport Exhaust System incl. Tailpipes in Black 0.00 2ZH Steering Wheel Heating 260.00 3S5 Roof Rails in Black 390.00 6JA Door Handles in High Gloss Black 350.00 7Y7 Lane Change Assist (LCA) 700.00 9JB Smoking Package 0.00 QH1 Voice Control 0.00 QJ4 Window Trim in High Gloss Black 240.00 VR4 SportDesign Side Skirts 1,000.00 PJ0 Premium Package Plus 2,230.00 .....Porsche Entry and Drive 0.00 .....Seat Ventilation (Front) 0.00 .....PE5 Power Seats (14-way) with Memory Package 0.00 Total Retail Vehicle Price 66,970.00 Delivery, Processing and Handling Fee 1,050.00 Total of Charges & Taxes 1,050.00 Total Retail Price 68,020.00Scores 25 Highway MPG and 20 City MPG! This Porsche Macan delivers a Intercooled Turbo Premium Unleaded I-4 2.0 L/121 engine powering this Automatic transmission. VOICE CONTROL, STEERING WHEEL HEATING, SPORTDESIGN SIDE SKIRTS IN EXTERIOR COLOR.This Porsche Macan Comes Equipped with These Options SMOKER PACKAGE, MONOCHROME HIGH-GLOSS BLACK EXTERIOR PACKAGE -inc: side window surrounds and rear bumper trim strip, 14-WAY POWER SEATS -inc: electric adjustment of seat backrest, seat height, for/aft position, seat cushion inclination, seat cushion depth and 4-way lumbar support, Memory Pkg, driver and front passenger seat, steering column, exterior mirror positions, settings for lights, wipers, air conditioning, door locking and instrument cluster , SPORT EXHAUST SYSTEM IN BLACK, ROOF RAILS IN BLACK, LANE CHANGE ASSIST (LCA), HIGH-GLOSS BLACK DOOR OPENER, CARRARA WHITE METALLIC, AGATE GREY, PARTIAL LEATHER SEAT TRIM W/ALCANTARA, Window Grid Diversity Antenna.Visit Us Today For a must-own Porsche Macan come see us at Mercedes-Benz Porsche of Lehigh Valley, 3401 Lehigh St, Allentown, PA 18103. Just minutes away! Original Optional equipment is as follows: 95BBA1 Macan Sport Edition 61,100.00 0L Carmine Red 3,120.00 VC Standard Interior in Black 0.00 0P9 Sport Exhaust System incl. Tailpipes in Black 0.00 2ZH Steering Wheel Heating 260.00 3S5 Roof Rails in Black 390.00 5TE Brushed Aluminum Interior Package 550.00 6FB SportDesign Side Mirrors 570.00 6JA Door Handles in High Gloss Black 350.00 8SI Tinted LED Taillights 550.00 9JB Smoking Package 0.00 QH1 Voice Control 0.00 QJ4 Window Trim in High Gloss Black 240.00 VR4 SportDesign Side Skirts 1,000.00 PJ0 Premium Package Plus 2,230.00 .....Porsche Entry and Drive 0.00 .....Seat Ventilation (Front) 0.00 .....PE5 Power Seats (14-way) with Memory Package 0.00 Total Retail Vehicle Price 70,360.00 Delivery, Processing and Handling Fee 1,050.00 Total of Charges & Taxes 1,050.00Total Retail Price 71,410.00 Scores 25 Highway MPG and 20 City MPG! 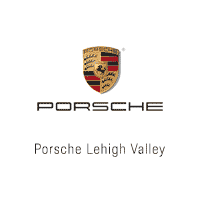 This Porsche Macan boasts a Intercooled Turbo Premium Unleaded I-4 2.0 L/121 engine powering this Automatic transmission.Stop By Today For a must-own Porsche Macan come see us at Mercedes-Benz Porsche of Lehigh Valley, 3401 Lehigh St, Allentown, PA 18103. Just minutes away!